Town of Ridgway: Known as “The Town That Refused to Die”, it is located in the heart of the Uncompaghre River Valley. With origins dating back to an 1870’s ranching center and the Rio Grande Southern Rail Road Depot, it is no wonder John Waynes’ True Grit was filmed here, and our office is located next door. Ridgway is home to the only stop light in Ouray County, sitting at the cross roads of US Hwy. 550 and Colorado Hwy. 62. 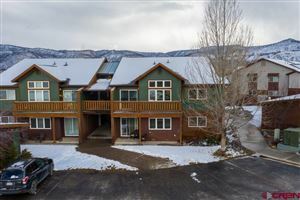 With easy access to Telluride and Montrose, Ridgway offers the best of Southwestern Colorado in an open, airy and sunny environment. 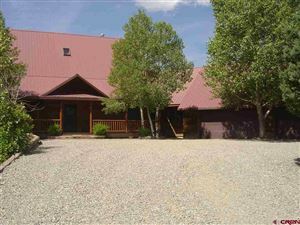 Views are expansive and include the majestic snow capped peaks of the San Juans, incredible Alpin Glow of the Cimarrons and open pasture land of the infamous ranches of the old west. See all Town of Ridgway.